You can now share all your blog posts directly from the Wix mobile app. Now you can access Blog Post Settings from the Wix mobile app to edit the Publish Date, Display Cover Image, Categories and more. 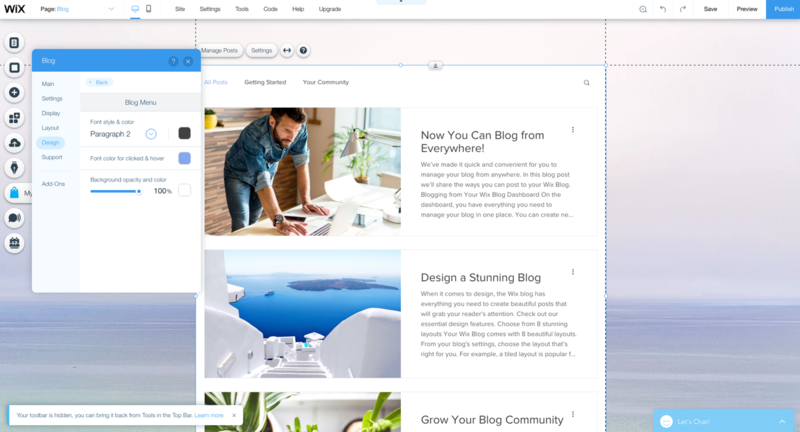 You can now change the hover color of your blog menu. 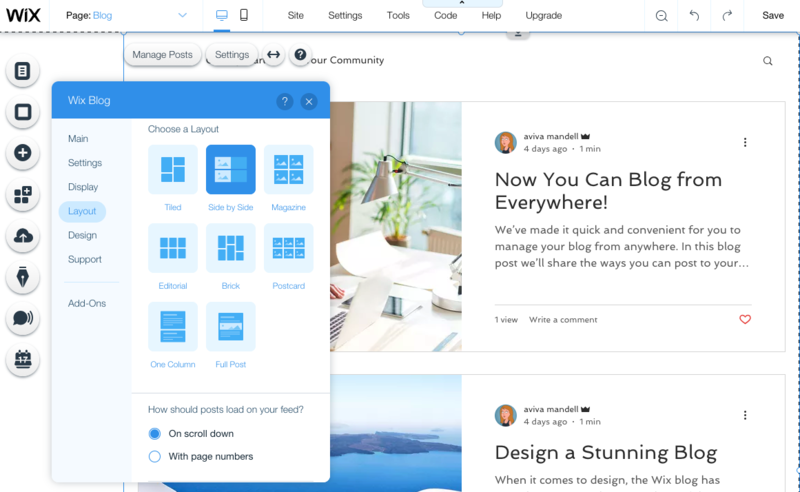 Now you can add blog writers and editors directly from your dashboard. 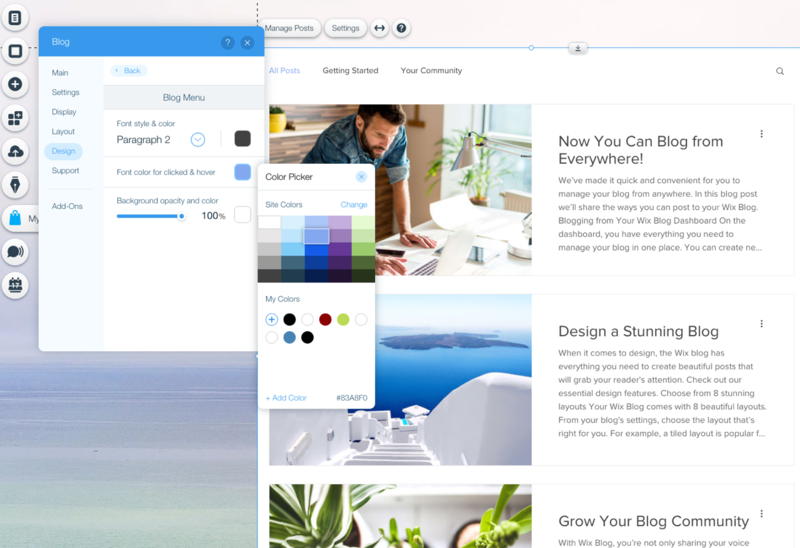 Now you can change the hover color of your Blog menu. Now you can turn on Developer Tools to get a database with all your blog post content. This means you can connect Editor elements to your blog dataset to customize your blog. Now you can upload your own videos to your blog posts. Before, you could add videos from YouTube, Vimeo or Facebook. Now you can update your category URL. Now you can show or hide the blog menu featured above the All Posts feed. Decide how your posts load: infinite scroll or pagination. You can also select the number of posts per page or per load.